Dawn Ostroff is president of Condé Nast Entertainment (CNÉ), a division of Condé Nast that focuses on the development, production, and distribution of original television, feature film and digital video offerings based on the company’s iconic media brands. Prior to joining Condé Nast in the fall of 2011, Ms. Ostroff launched and led the new CW broadcast network, a joint venture of CBS and Warner Bros., beginning January 2006. As president of entertainment, she was responsible for all aspects of the CW’s creative efforts, including programming, digital initiatives, branding and marketing, and developed a multitude of groundbreaking hit series—among them, Gossip Girl, The Vampire Diaries and America’s Next Top Model. In an effort to engage the digital CW generation across multiple platforms, Ms. Ostroff and her team developed cutting-edge strategies for leveraging interactive content and revenue opportunities. 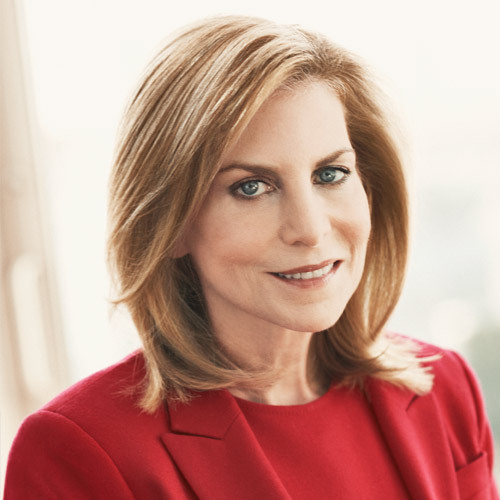 From 2002 to 2006, Ms. Ostroff served as president of UPN Network, a subsidiary of CBS, where she oversaw all areas of the network’s business—programming, digital, branding, marketing, sales, finance, research, legal and publicity, and more. Before UPN, Ms. Ostroff served as executive vice president of entertainment at Lifetime Television, where she headed up programming and production, scheduling and acquisitions, including Lifetime Original Movies, prime-time series, specials, documentaries and sports, as well as all programming for Lifetime Movie Network and Lifetime Real Women. In the five years that Ms. Ostroff led Lifetime Entertainment (1996–2002), the network rose from sixth place to become the #1-rated cable network in prime time. Earlier in her career, Ms. Ostroff held senior roles at 20th Century Fox Television, Michael Jacobs Productions (at Disney) and the Kushner-Locke Company. She began her career working at several local channels in news as an on-air reporter and a producer. Ms. Ostroff has a BS in journalism from Florida International University and resides in New York City with her husband and their four children.